PLANO, Texas--(BUSINESS WIRE)--Oct. 29, 2018-- Cinemark USA, Inc., a wholly-owned subsidiary of Cinemark Holdings, Inc. (NYSE: CNK), one of the world’s largest motion picture exhibitors, has entered into a nine-year virtual power purchase agreement (VPPA) with AEP Energy Partners, a competitive energy subsidiary of American Electric Power (NYSE: AEP). 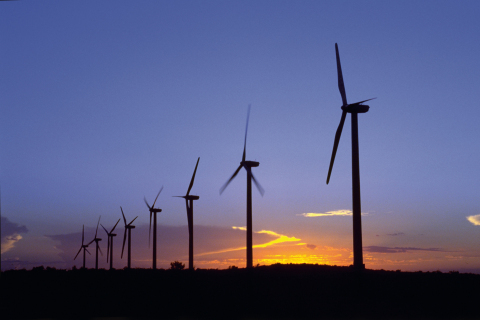 Cinemark’s VPPA will support up to 40 megawatts of renewable energy from AEP’s Trent Mesa wind energy center in Nolan County, Texas. Once fully implemented, the 40 megawatts of power from Trent Mesa will produce renewable energy equivalent to the approximate power consumption of 120 Cinemark theatres or nearly 14,000 homes. Cinemark will receive renewable energy certificates (REC) for the 40 MW of wind power capacity representing approximately 38 percent of Cinemark’s current total annual domestic energy consumption. In addition to this new agreement, Cinemark continues to deploy energy efficiency projects including HVAC retrofits, rooftop solar panel installations, as well as interior and exterior LED retrofits. AEP Energy Partners is a competitive wholesale electricity and natural gas supply provider owned by American Electric Power (NYSE: AEP) supplying wholesale electricity and natural gas solutions for customers in ERCOT, MISO, PJM, and SPP currently across 15 states.